My name is Rokhl and I’m a Yiddishist. I’ve been a Yiddishist my entire adult life, pretty much since I took my first Yiddish class in college. Being visibly (or audibly) Yiddish in public means I’ve heard every possible comment about my linguistic choice many times over. And it’s given me a handful of bullet points I’d like to share with my non-Yiddishist friends. I can’t claim to speak for every Yiddishist, of course (“khas v’kholile,” God forbid). I doubt I can even come up with a definition of Yiddishist that every Yiddishist would agree on. But let’s say that today, Yiddishists are people who have chosen to learn and/or use Yiddish in their everyday lives. 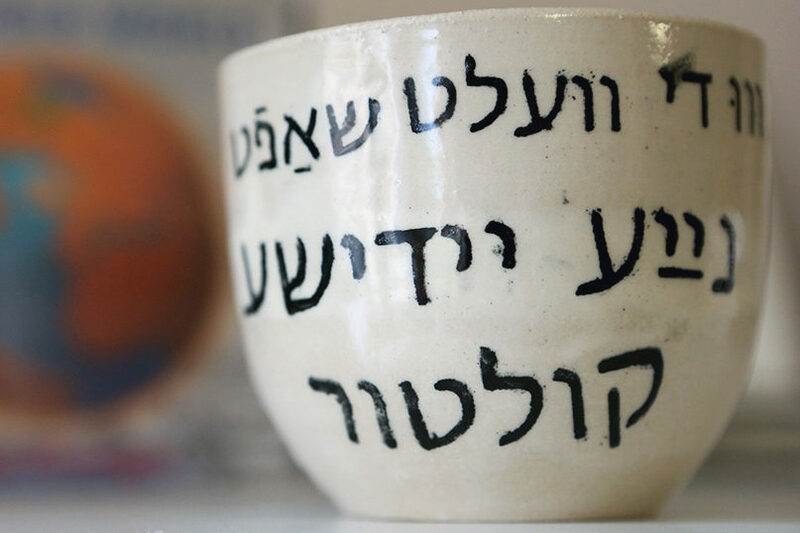 The choice to use Yiddish is an affirmative statement of value, as well as an identification with Eastern European Jewish life and its present continuity around the world. Yiddishists are students and professors, parents and children, nudniks and hipsters. We’re super-gifted linguistic collectors and back-of-the-struggle-bus language learners. Yiddishists are a diverse group, but one thing we have in common is that we’re not re-enacting anything. In most ways, learning Yiddish (and Eastern European folk arts) isn’t much different than learning any other language or culture, except you can’t go back to the source country. Nostalgia is sentimental, personal and, most important, transient. Learning Yiddish is the opposite of nostalgia. Nostalgia is cheap and easy. Learning a language is active and generative, it makes new connections and creates community, it opens paths to new ways of seeing. And it takes a hell of a lot of work and commitment. 2. Yiddish is not a language for the cute and harmless (or, God forbid, the weak and victimized). Because of the way millions of Yiddish speakers were murdered, we tend to think of Yiddish itself as intertwined with its own destruction. But of course, Yiddish was a vibrant language spoken by every kind of person in every social class and occupation. That also means it isn’t just used by huggable bubbes who want you to eat more of their chicken soup. If you need proof that Yiddish was also the language of criminals, rogues and scoundrels, there’s no better place to start than Eddy Portnoy’s deep dive into the Yiddish tabloids of the 1920s and ’30s in his book Bad Rabbi. Learning Yiddish was the key that made so much of my own life make sense and provided me with a deep connection to history that hadn’t been part of my Long Island childhood. 3. Yiddishism isn’t in opposition to Hebrew or Israel or Judaism or other Jewish heritage languages. The 20th century is over and so are the debates about what is to be the language of the new Jewish state or the Jewish people. Israel no longer has to suppress Yiddish (or other minority languages). The anti-religious Yiddishism of socialists, communists and other 20th-century radical -isms is also a thing of the past. Which is not to say that there aren’t still adherents of those particular identities, they should live and be well. But they’re no longer a driving force behind Yiddishism. Today, Yiddish is available to anyone, religious or agnostic, Zionist, anti-Zionist or somewhere in between. Many American Yiddish learners are like me and find that learning Yiddish brings them closer to the Hebrew language and culture — in large part because it’s necessary to improve your Yiddish! One of the most famous Yiddishists in the world today is Evgeny Kissin, though most people know him as a wildly popular concert pianist. Kissin has made Yiddish poetry an integral part of his artistic project, reading Y.L. Peretz at the Kennedy Center and recording his own CD of recitations of Yiddish poetry. Kissin also took Israeli citizenship a few years ago and maintains his passion for Yiddish and his Zionism as mutually reinforcing, not conflicting, aspects of his Jewish identity. Yiddish is not in competition with modern Hebrew, and it certainly isn’t in competition with Ladino or Judeo-Arabic or any other Jewish heritage language. Most Yiddishists I know are language maximalists. They understand that when it comes to languages, more is always better. The problem isn’t that there is too much Yiddish in our Jewish spaces (“halevai,” if only) but that the polyglot tendencies of Jewish life have been squashed into a global monoculture. 4. No, I don’t want to hear your five favorite Yiddish curse words. Yiddish is so much more than its psycho-ostensive aspects. Psycho-huh? Psycho-ostensive elements are those parts of a language “whose only function is to give vent to the speaker’s emotional attitude toward what he is talking about.” Linguist James Matisoff wrote a whole book about it called Blessings, Curses, Hopes and Fears: Psycho-Ostensive Expressions in Yiddish. According to Matisoff, not just blessings and curses but proverbs, oaths, jokes and protective utterances “constitute a sort of paralanguage” within Yiddish. These are the juicy, emotive aspects of Yiddish everyone wants to talk about. The problem is when they supplant everything else. Every time someone tells me Yiddish is “uniquely expressive” or “colorful,” my heart clenches a little and an angel loses their wings. Guys, I just want to talk about Marxist Yiddish literary criticism! The funny thing is Matisoff, a linguist with impeccable linguistic credentials and real Yiddishist “yikhes” (bona fides), believes that Yiddish’s reputation as “highly expressive” is deserved! But of course, that expressive quality must be understood within the context of the whole language (and culture). If you’re only focusing on the paralinguistic, to the exclusion of all else, you’re missing out on the whole thing. Being Yiddish in public means I hear from a lot of people who want to learn Yiddish but don’t know where to start. If I ask whether you know “alef-bes” (the Yiddish alphabet), it’s not to shame you but to find out where you’re starting from. 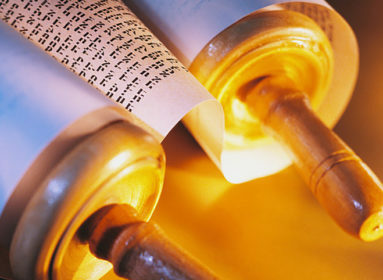 Yiddish is written with Hebrew letters but spelled phonetically, for the most part. If you don’t know alef-bes yet, let me encourage you to start there, as it’s an investment you’ll never regret. 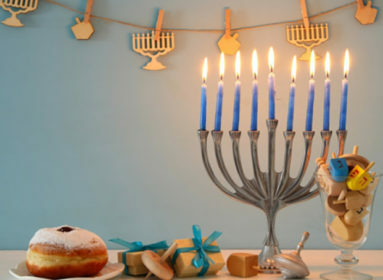 What’s new for kids to read at Chanukah?